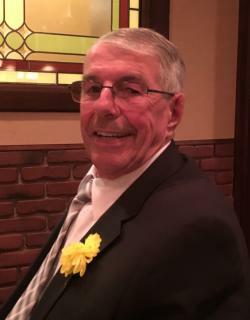 Dale Kirkland of Riverview passed away at The Moncton Hospital on Tuesday, February 6, 2019. Born in British Columbia, he was the son of the late Hubert and Dorothy (Young) Kirkland. Growing up in British Columbia Dale had a great love for the outdoors. In his younger years, he and his father did a lot of hunting and fishing on the west coast. As he got older, Dale became more and more drawn towards golf. Golf was his life. He played every chance he could get before deciding he wanted to play professionally. Unfortunately, a knee injury got in the way of that dream but that didn’t end his love for the game. Dale could be described as a "jack of all trades" excelling in carpentry. Aside from spending time with his beautiful family, Dale’s spare time was spent reminiscing of his life on the east coast while making wood carvings of different animals like birds and fish. He will be dearly missed by his loving wife, Laura Kirkland; his step-children whom he adored, Judy Spurrell (Gary Sullivan) of Portugal Cove, NL, Geraldine Sturge (Andy) of Badger’s Quay, NL, Valerie Mayo (Terry) of Torbay, NL, Christopher Spurrell (Kelly) of Stettlar, AB; and his cherished grandchildren, Jessica, Brianna, Hailey and Jacob.